she can quilt: Snowfall - Ta Da! Here is Snowfall. She is the largest quilt so far in my series of cycles quilts (you can see Cycles here, Cycles 2 here, and Sunset here) and is about 49" square after washing (she was about 52" square before the wash). 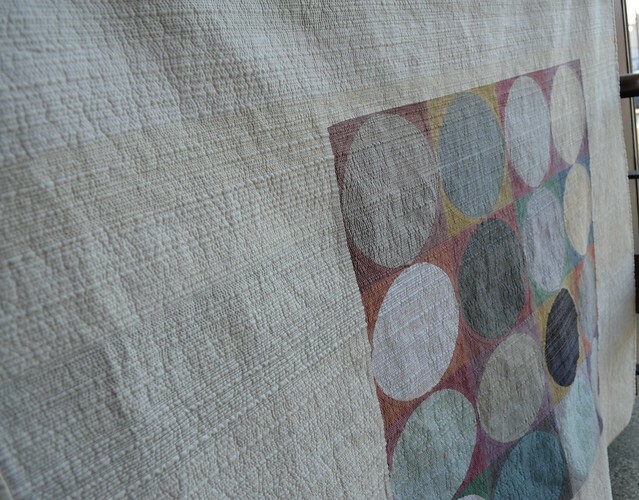 The backgrounds to the circles are made from a beautiful bundle of Oakshott Italy fabrics - a shot cotton with one thread in silver grey and the other in a colour so they are soft and muted. 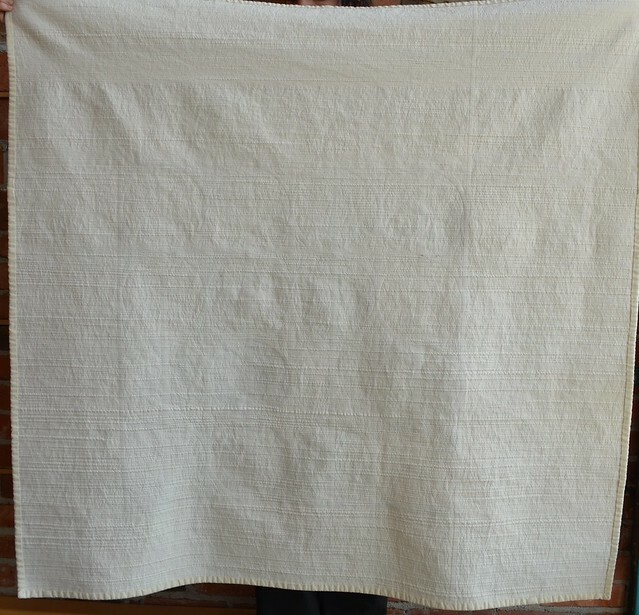 The large negative space is creamy snow coloured Essex Linen as is her binding. 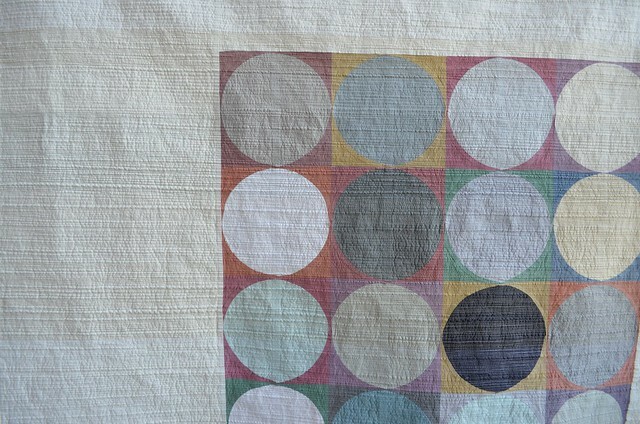 The circles are various Essex linens, Kona solids and one yarn dyed linen. I hope that maybe as you look at Snowfall, you will be reminded of standing in a heavy snowfall of big fluffy snowflakes - you know the kind of snow that comes down wet and heavy in a soft flutter to the ground with no wind. When the snow is thick like that it blocks your view and you see bits of colours peeking out around the whiteness and everything seems muted. Usually, when the there is no wind, in such a snowfall, sounds are also muffled by the dense snow, and the world seems so much quieter. Snowfall has very dense industrial modern matchstick quilting which I did on my new Millennium long arm quilting machine. I learned to walk with the machine, to not "over-steer" her so that the lines stayed relatively straight and to use a speed that allowed me to go both left to right and right to left (right to left is harder to avoid thread breakage). I used several different threads in white, cream, gold, light tan, and grey. All but two were polyester, I need to practice more with cotton threads and this new machine to get the tension right for cotton threads. The subtle - and not always subtle - changes in thread colour add another dimension to this piece. This time I was focused on getting the lines relatively straight, the thread tension nice and even and not having broken threads. Next time I matchstick quilt on the long arm I will work at wobbling the lines just a little more. For now, I am so happy that I can matchstick a quilt this large on this new machine. The pictures above have all been from after Snowfall was washed. The added texture completes this piece, which was my plan. 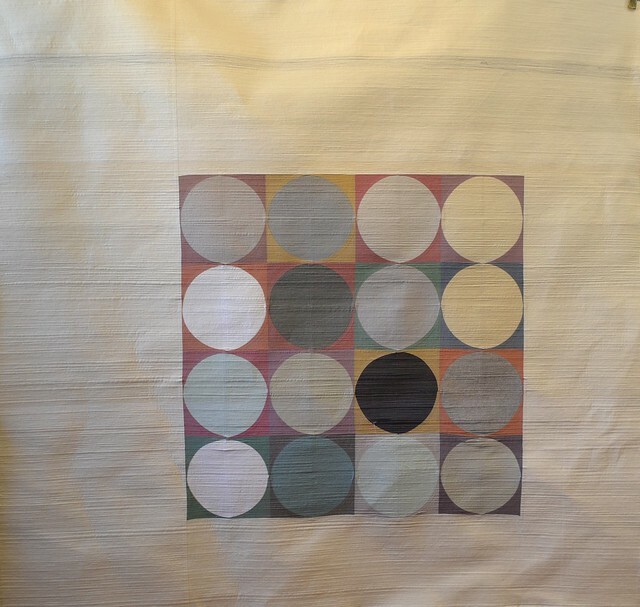 Like all the cycles quilts, it is a huge challenge for me to keep to these simple elements - to stay minimalist and keep the lines clean and very geometric - I so want to add more. This picture was taken in different light, you can see how the colours will change depending on the available light. I love how from a distance the quilt appears quilt neutral but when you get close you see the rich hues of orange, purple, green, red in the Oakshotts. In person, the Oakshotts have the usual shot cotton glow, which is nicely complimented by some of the more shiny polyester threads. Her back is Kona snow, which is basically the same colour as the Essex Linen on the front. The binding is actually a tiny hint darker. I hand stitched the binding down. 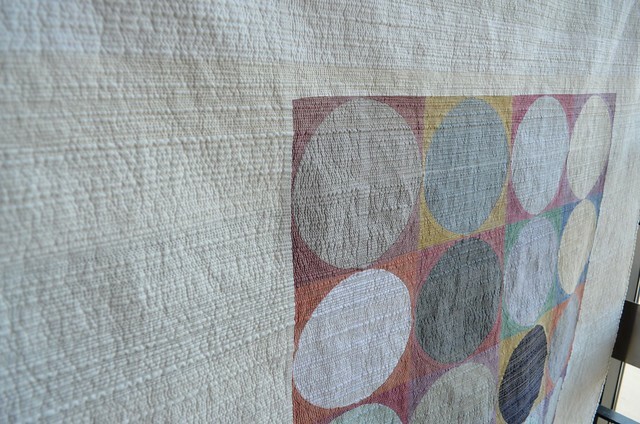 I love how the back has the hints of the circles from the seams which show through due to the dense quilting. This photo is of Snowfall before I washed her. Lots of texture but nothing as interesting as you see after the wash. Also, she was much stiffer before I washed her, more like a light cardboard than the subtle blanket she now is. You can see the crinkles, almost like crinkled paper in this shot, which I took after taking her off the long arm frame. I had not even trimmed the batting in this photo, the crinkles are just from the small move off the frame. In this photo you can see how the dense quilting impacted the piecing just a little, that impact increasing just enough to notice at the bottom. That effect just adds to the industrial modern look I think. You can compare the close up shots before the wash to those earlier after the wash to see the changes washing adds. Also, although I found that I was mostly stitching pretty straight lines, I did vary the width slightly for more texture and interest. I set the machine to the longest stitch and I did use the stitch regulator, I only wish it would make slightly longer stitches - I wonder if I could become consistent enough in non-regulated mode to make even stitches in lines like these. 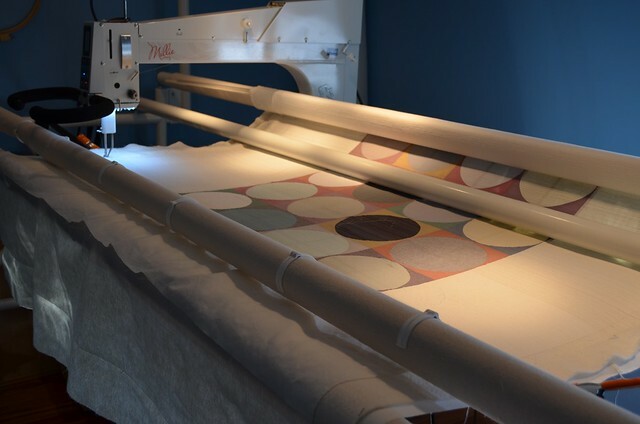 Other than the stitch regulator, I hand guided the machine to free motion quilt the lines - there was no computer assisting and no pantograph used. My favourite parts are those diamonds where the circle backgrounds meet. 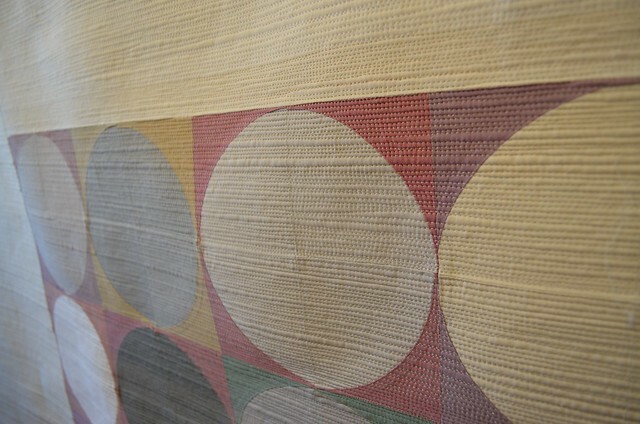 You can see nicely in this photo how the dense quilting makes the underlying seams and lumps where the seams join show. More industrial modern texture - think of brick walls and steel beams and such, in those buildings peeking out in the middle of that snowstorm, as you stand in the heart of the city. There is a photo of Snowfall still being quilted. She did look pretty on the quilting frame. And here she is in the stairway of my office's building. There are large two story windows on the left, just out of the photo, which makes this a great place for photos - loads of light but not directly on the quilt. Also, this setting is exactly the kind of industrial modern vibe I hope you get from this quilt. And, in addition to showing her off, I get to check off my March list from A Year of Lovely Finishes as complete and I will link her up at Shanna's blog Fiber of All Sort now. Snowfall is also a Q1 Finish A Long finish too and I will be linking her up at Katy's blog, The Littlest Thistle, shortly as well. Here is my Q1 FAL list. Absolutely lovely! The texture difference before and after the wash is really something, and I also like seeing those subtle circles on the back. So glad you are feeling good about matchsticking on your new machine! How I love this series of quilts. The quilt does give that tranquill feeling of snow and I love it photographed with the brick walls. Great matchstick quilting with your new machine!!! You alreadyk ow I love this, but at the risk of repeating myself - absolutely gorgeous. And your writing reminded me of those mornings when we were kids and you woke up to the sounds of the world muffled by snow. Then you turned on the radio and prayed for a snow day! I think this is your most beautiful quilt yet, and it absolutely has the snowy quietness you describe. 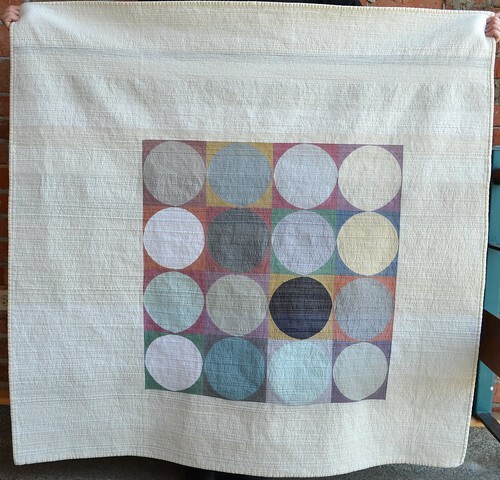 I think this is my favorite of your cycles quilts yet, Leanne. I adore the oakshotts, and that quilting!! It really is spectacular. she is soooo beautiful, wow. I'm speechless! 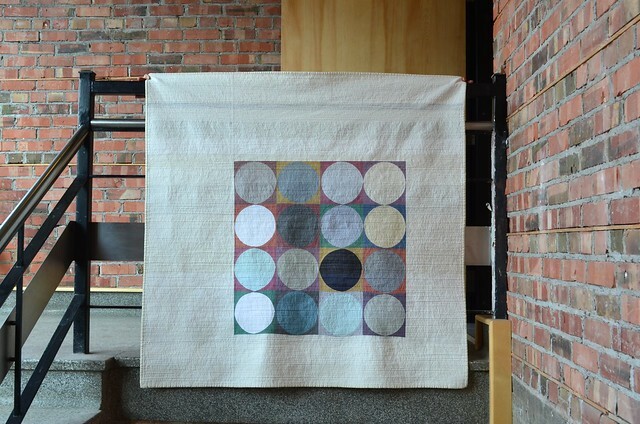 You know, I think it my favourite of all the cycles quilts. I love the layout especially. How many calories do you burn walk quilting a whole one of these?! Maybe I can justify one as an exercise machine? Looks great and the texture is fab! Love it! holy moly, woman! i think you've perfected this design and quilting method. i want smooch and snuggle this gently. Wow, it's beautiful, Leanne. 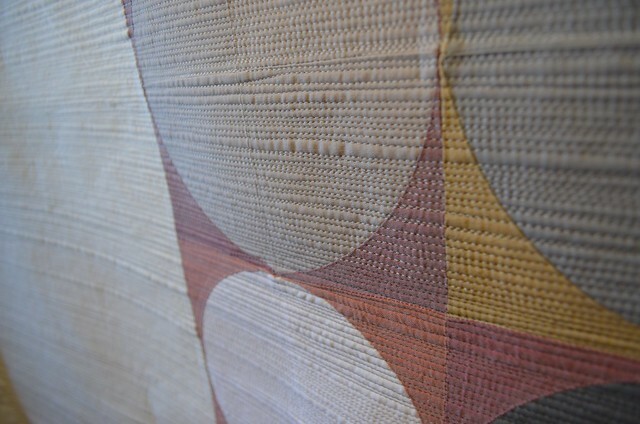 Love the texture of the matchstick quilting and the gorgeous soft colours. Woo hoo! I wasn't sure I wanted to look at anything with snowfall in the title! LOL Wonderful and she looks a lot bigger than her size indicates. Great job! Fabulous. Thanks for the detailed explanation and pix to explain your thinking and process. I think Cheryl has said it for me! Fabulous! Beautiful as always! I love that the white background appears to have different shades of color, which I am assuming is because of the thread changes maybe? I love it! It looks lovely! Though maybe you could do something flowery next since this snowfall seems to have encouraged another real snowfall here in Newfoundland! Drooool! This is so amazing. Great job sweetie. Thanks for linking up. My favourite is the one navy circle. The threads you have used really change the way this quilt looks - absolutely gorgeous! Another absolute beauty ,and I think Snowfall is the perfect name! Applause, applause, applause!! Snowfall is a wonderful addition to your series and I just love her. The last pic is indeed the perfect setting to showcase all the things you set out to achieve with this quilt. I'd say this project is an A+ success, Leanne. Also, I am certain it is very difficult to walk and drive the longarm evenly over such long, straightish lines. You are doing incredibly well this this new machine!!! I just love Hearing your process. So Interesting! And what a beauty she is!! So glad you were able to master the matchstick on the longarm, Snowfall is absolutely fab! Stunning! I really like how the quilting not only adds texture and depth to the negative space but because of the thread there are different colors - just like in snow banks. Thanks for sharing your process! Beautiful. I love your collection of cycles quilts. Thanks for sharing the details! Oh my goodness! The quilting must have taken hours! Love your modern industrial style! This quilt is a beautiful piece of modern art!!! Ah! It's beauteous! Congrats on learning on the machine! Fabulous! And i do really love the quilting! Oh my Leanne...she is a true stunner! Your work is spectacular. Love the quilting. Hi, I just came across your blog, this is such a beautiful quilt, so peaceful and calming. I'm a member of the London MQG UK and I wonder if I could have permission to use one of your images on our facebook page with a link back to this post. 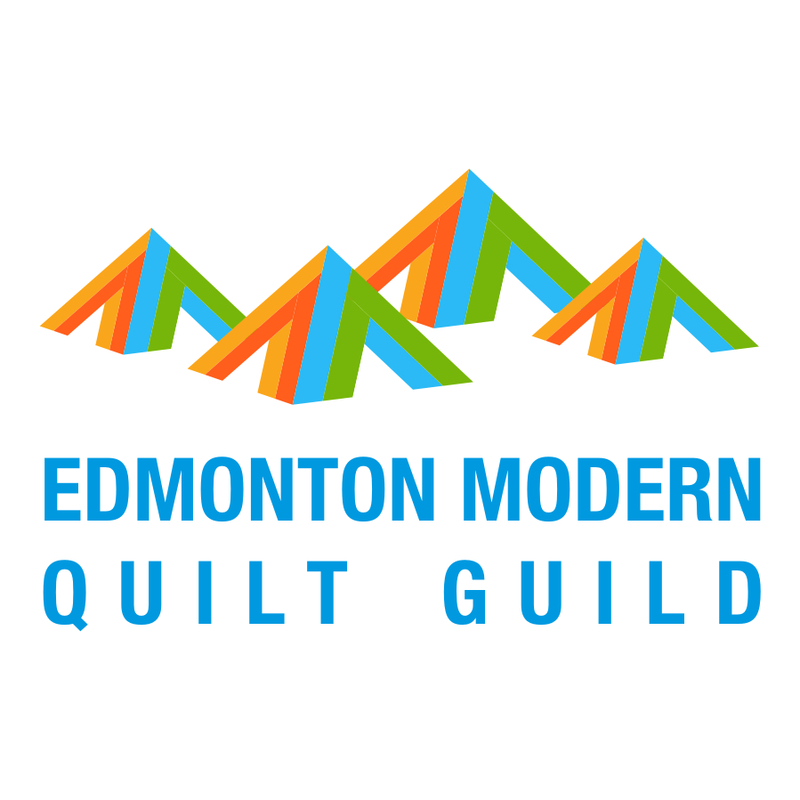 Here's a link - https://www.facebook.com/pages/Modern-Quilt-Guild-London-UK/274223375971867 I tried just linking to the post but it's only including your header and sponsor images - I'd really like to share this with our readers, it's so stunning. What can I say? 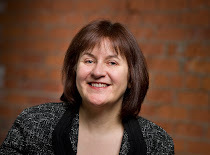 I love your dense quilting, it´s so you, it´s sp fantastic!!! Mesmerizing. The last photo is my favorite. Is that where the quilt will stay? It looks perfect there. it's just gorgeous. that matchstick quilting is really lovely, and so time consuming! Soo gorgeous. 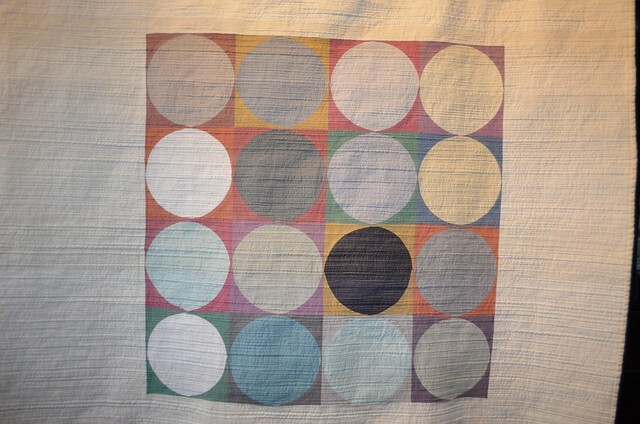 I love all your Circle quilts but this is my fave. 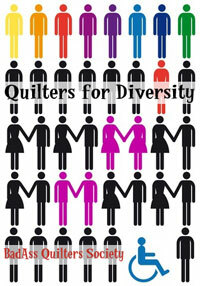 I'm starting another matchstick quilt and can hardly wait. It really is fabulous and I'm in awe that you were able to do the quilting on your longarm. I'm definitely going to try that sometime. A very neat quilt, for sure! Any idea how many spools of thread you used? And what brand of batting is inside? great finish - love it! I've loved this whole series! I love what the light does to this quilt, and it's fun to see that you've been able to transfer to a long-arm (though I love that you started on your domestic because I've been inspired by you to try matchstick quilting sometime). 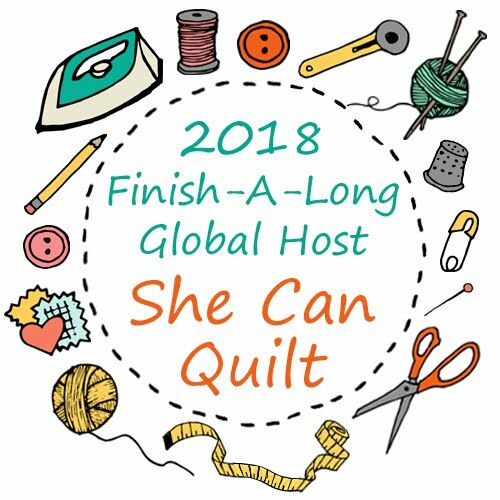 Are you going to enter any of this series into a quilt show? I hope you do! Ohhhhhhhh!! I think this may be my favourite so far but I've thought that about each one in the series!! Nordika Giant Plus - Ta Da!